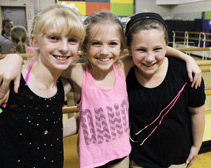 Traditional Dance Classes, Northville – Center Stage Dance Co.
We offer a variety of dance techniques for elementary, middle school and high school-aged students, at all levels, ranging from beginner through advanced. Classes are available for boys and girls. 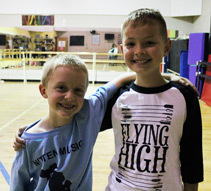 Classes are organized by levels, taking into account the student's age and skill level. Our experienced and dedicated senior faculty will evaluate your dancer to determine the best placement for her or him. Dancers should expect to remain at a level for a minimum of 2 years. Our season runs September through June culminating with our annual recitals. Enrollment for performance classes is accepted through January. The most important class for any dancer (or athlete!) for its natural attention to discipline, flexibility, grace, body awareness, and strength and stamina. We teach the classic Russian syllabus for ages 7+. Students will be exposed to age appropriate material determined by physical and emotional development. Barre, center, and across the floor exercises will support the choreography given to the dancers for their performance pieces. Ballet vocabulary, in French, is used exclusively. This technique will act as the strong basis for all other forms your dancer may choose to study. Dancers should expect to train in a particular level for a minimum period of two years. Contemporary and Lyrical dance are fusions of ballet, modern, and jazz genres. Students will be exposed to age and skill appropriate movement. Ballet class is highly recommended as a partner with the study of contemporary and lyrical as its fundamentals will facilitate progress. An advanced level of ballet for dancers ages 8+. Students are assessed by their ballet instructors as to readiness. These classes prepare the dancer for the rigors of pointe by focusing on development of the bottom of the foot, their increased awareness of center, and overall body control. Instruction includes the how-tos of fitting a pointe shoe, the correct method of tying pointe shoe ribbons, and sewing ribbons and elastics on to ballet slippers and pointe shoes. 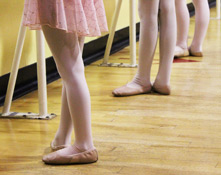 All students must be enrolled in a ballet technique class to participate in a pointe or pre-pointe program. Both classic (up on the balls of the feet) and rhythm (down low into the floor, often with a full foot) styles are taught. Barre (for our younger dancers), center, and across the floor exercises are designed to train the ear as well as reach the ultimate goal of speed and clarity of sound. Many exercises are executed a cappella (no music) to help teach the dancers the importance of listening to the other feet around them, which enhances musicality (the skill of ‘hearing’ the music). The most American of dance forms, jazz steals its language from ballet. Its turns, connecting steps, runs, walks, leaps and jumps are presented in parallel position as opposed to its cousins in ballet who work turned out, but share many of the same tenants; long, stretched positions, lifted upper bodies. Additional differences include tempos, isolations of the head, shoulders, hips, and ribs, and more rigid positions of the arms and hands. Dancers should expect to train in a particular level for a minimum period of two years. This dance genre has been in the streets since the late 1970s but wasn’t mainstream until the boy bands of the 90s and MTV got a hold of it. Incorporating the tempo of jazz as well as its jumps, turns, and flexibility requirements, hip hop has its own look. Very low and deep into the shoes and floor, often with a hunched upper body, hip hop calls for severe hip, rib, shoulder, and head isolations. Complicated arm and hand movements are its signature as well as multiple isolations and movements within a single note. A dedicated skills class focused on technique and proper body placement; the fast pace contributes to building stamina, strength, and flexibility, for improved execution of turns, jumps, and leaps. Eligibility requirements apply. Technique & Conditioning classes have eligibility requirements. Please visit the front desk or talk with an instructor for further information. A supplemental class for dancers, Dance Acro goes beyond tumbling. Strength training, agility, athleticism, and conditioning will all be addressed weekly in this core class. All classes are designed for girls and boys alike. The focus on strength, agility, athleticism, energy and drive allows boys to feel that they are setting and accomplishing a goal in an artistic form.